Can You Get a Something from a Nothing? I've recently been discussing how Christians can us reason and logical argument to help their witnessing efforts. (You can read the previous articles, here, here, and here.) I believe in studying hard and understanding the issues. I believe in learning and providing good answers when others pose objections to Christian positions. I definitely believe in engaging others and always being ready to provide an answer to anyone who asks about the hope that is within you. However, I've also seen conversations where spewing all those answers and all that knowledge at another person had the opposite effect: it drove people away from the faith. It isn't because the answers weren't sound; it's simply because the Christian wasn't really listening to the other person. Sometimes it's better to ask a question and then shut up for a while and listen to what the other person has to say. Listening and seeking to understand the other person's feelings is a hard skill to learn. Many people have told me that they have been frustrated when talking about religious ideas because they felt that their questions were being ignored or not taken seriously. Even Christians who pride themselves on their ability to defend the faith can fall into this trap. In our conversations, we can get so caught up in planning our next response that we aren't even hearing what the other person is saying right now! If we are going to be effective in sharing your faith, we as Christians need to slow down and really listen to what the other person is telling us. We need to hear not only their objection to a specific point, but to how they understand Christianity and belief as a whole. A good way to do this is to simply ask them for their testimony. Let me give an example. I once invited a lady from the Jehovah's Witnesses who was going door to door inside to talk a bit. I asked her about her belief in who Jesus was and what the Watchtower said about him. She gave all the standard answers. We began discussing how about how Jesus could not be a created being and it looked like it was going to be a standard “You say , I say” type conversation. However, I then asked, "Can you tell me what attracted you to the Jehovah's Witnesses?" She replied that she originally wasn't that religious. She had a brother who was mentally impaired. She loved her brother dearly, even though he used to do certain things—things which she deemed unspeakable and unforgivable. Because of his condition, her brother died at a relatively young age. She knew there was no way he was going to heaven, given his actions, but she couldn't bear the thought of him being in hell. So, she said she started on a religious journey and "searched out different faiths until I found the Jehovah's Witnesses." Now, we had been talking about the nature of Christ, but do you think arguing Hebrews 1:6 or Granville Sharp's rule will be effective in such a situation? I immediately switched to the orthodox ideas of grace, forgiveness, and God's mercy as well as His judgment. I think that listening is a key element that is many times missing from our apologetic today. You don't see many apologetics books written about how to listen well. But asking some good questions like “How did you come to your beliefs/non-belief?” or “What is the most attractive thing for you about holding that position?” can give you great insight into the person with whom you're conversing and help you have a much more fruitful exchange. It also shows that you actually care about that person and what he or she thinks; you aren't just looking to put another notch on your Bible. We need to remember that each encounter we have is with a person who is an individual with different motivations, background and feelings than our own. We should treat them as such and try to understand each individual before jumping too quickly into an answer. By listening, we will become more effective in defending our faith. In my previous post, I discussed the need for Christians to engage others by using argumentation. We use argumentation while looking for fallacies for flaws to determine unsound or invalid arguments and assertions by others, all the while seeking to find the truth of a matter. Arguing in a logical, thoughtful manner helps us look for the flaws in other people's stances and helps us to effectively assert our own. Arguments highlight those things that can change a belief. 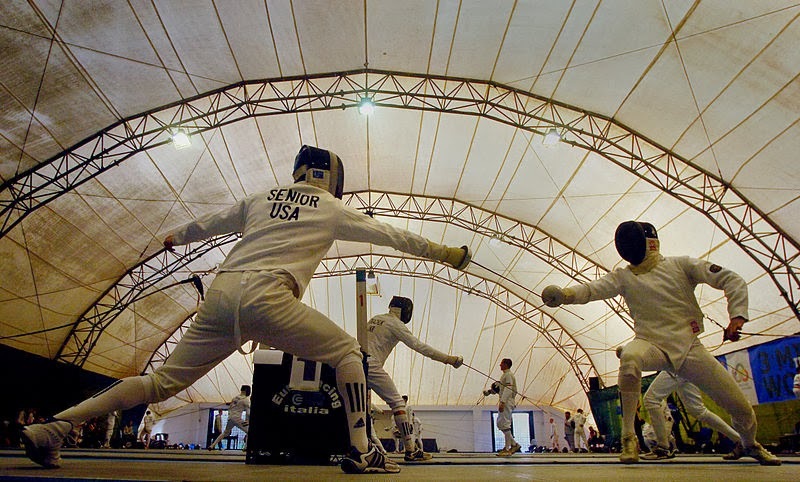 In fencing, there is a technique to sparing with an opponent. It isn't always a hard attack. There is some give and take. One may lunge and thrust, but one must also be able to guard and parry. Similarly, when arguing, one must be skilled in providing a thoughtful exchange. 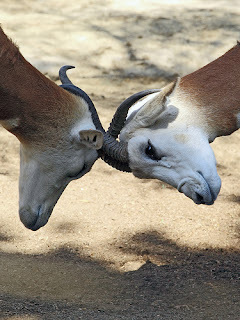 One must know the techniques in arguing and how to properly argue. It is tragic that so many Christians today seek to engage those who hold to different beliefs with the truth of the gospel, but offer terrible reasons for their beliefs. I think Christianity has the best arguments, but without an understanding of what comprises a sound argument, many people are coming to a sword fight with boxing gloves, and they will only get themselves skewered as a result. Learning the structure of a well-formed argument belongs to a field of study known as logic or critical thinking. Logic teaches one what the components of an argument are, how to properly argue, and how to identify others' arguments. It will also teach how to identify flaws or fallacies in arguments. So what makes up an argument? What are its components? The biggest component is the conclusion. The conclusion of an argument is the main fact you are trying to get across. This is where we are going; this is our destination. If you are to map out an argument the conclusion is the endpoint. But a conclusion cannot rest on its own. Just as the roof of a house needs walls to hold it up, a conclusion needs one or more facts or reasons to support it. These facts or reasons are known as premises. The Esposito family watches hockey. Therefore, the Esposito family watches sports. This argument presents two premises or facts: The Esposito family watches hockey, and hockey falls inside the category of sports. Knowing these two premises, one can now have knowledge that the Esposito family is a sports-watching family. Now, you may not know our family, or you may not know if we would be the type of people who would watch sports or not. But if you know statement #1 is true and statement #2 is true, you can safely conclude that the Esposito family watches sports. You have gained a new fact based on the first two facts that you already know. Therefore, the universe must have a cause for its existence. The conclusion we are arguing towards is that the universe had to rely on something else for its existence. Like our previous argument, the first two statements are the premises that hold up the conclusion and if we know both of those facts, we can know that the universe doesn't exist because of itself, but must rely on something or someone else for its existence. It is the strength of gaining new information from facts that we already have that makes arguments so powerful. While knowing that my family is sports fans is not particularly interesting, knowing that we must look outside of the universe for its cause helps up on our way to making an even bigger argument, one that argues for God's existence. However, when we talk with others, we don't always get to hear their arguments in such a straightforward manner. In my next post, I will talk about ways you may identify arguments that your interlocutor may be making in casual conversation. As Christians we seek to spread the truth of the Gospel to a lost and dying world. However, as our culture continues to lose its Christian underpinnings, many people are finding that communicating that Gospel isn't quite as easy as it used to be. Previously, most people on the west would have more or less a shared set of beliefs about how the world works, a common worldview based on Judeo-Christian principles. Today, though, that isn't necessarily true. Moral relativism and materialistic views have replaced much of the previous beliefs that grounds one's understanding of who we are and how we should behave. So, Christians need to understand that now part of sharing the gospel entails changing beliefs. As I've written before, there are two basic ways I can think of to change a person's beliefs: either provide new information to that person or show how the beliefs one currently holds are contradictory. It requires input of some kind so that people will begin to think a little bit differently, to reassess or reevaluate what they actually hold to be true. There are at least four ways all people have engaged one another, but not all of them are effective in helping a person change their beliefs. The first one is pretty easy, it's simply discussion. Discussions by themselves can be about anything, what the weather is like, what you did over the weekend, or even what your favorite food is. 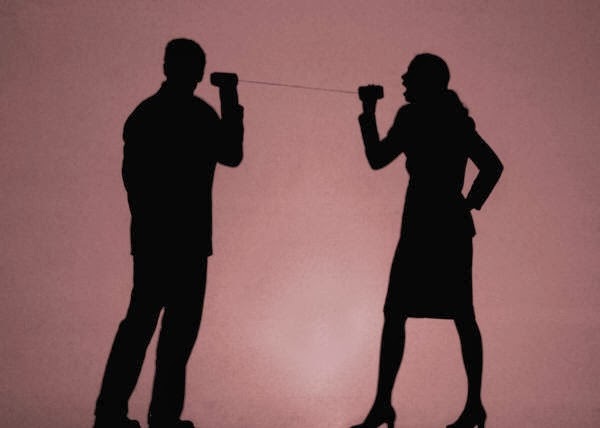 Discussions are usually non-confrontational and they allow you to connect with the other person. They are friendly and casual. However, they don't necessarily push towards any kind of conclusion. Sometimes, simple conversations can reveal conflicts or strong opinions on a belief, and people can find themselves in a disagreement. Sometimes we disagree with one other, but just having a disagreement doesn't necessarily provide knowledge. "He thinks tapioca pudding is the greatest dessert on earth and I think it's fish eggs and glue. We have a disagreement.” Simply disagreeing with someone shows that your beliefs on some matter diverge, but disagreements themselves don't seek to come to a conclusion. No one gains in knowledge simply because they recognize that they disagree with one another. Many times disagreements devolve into fights. Unfortunately, this is the way many disagreements end up when someone seeks to change another's beliefs. People take offense that their beliefs are challenged and they strike back at the other person. Fights usually generate much more heat than light. People attack one another personally, and emotions rule over reason. Little if any real knowledge is exchanged, and what has is usually tainted by the person's hurt feelings and desire to protect him or herself. Because disagreements have devolved into fights, a lot of people in our culture think that whenever a disagreement arises, everyone should just leave it there. Agree to disagree on everything, the thinking goes. But, as I said, no real knowledge is gained simply by recognizing a disagreement. Therefore, Christians need to employ another technique in our interaction with others, and that is argumentation. I use the word "argument” in a very specific way. I use it in its classical sense not in the common usage as a kind of fight or loud disagreement. An argument is simply supplying reasons or evidence for a view, belief, or contention. A prosecuting attorney will present an argument to the jury in order to make them believe that the defendant is guilty of whatever crime he is accused of. When the Christian builds an argument for something like the existence of God, he or she argues by providing statement that serve as evidence for the proposition "God exists.” There are reasons to believe in the proposition. As Christians, we are commanded to provide arguments for our faith in the Bible. The Apostle Peter writes to the church and instructs them, "but in your hearts honor Christ the Lord as holy, always being prepared to make a defense to anyone who asks you for a reason for the hope that is in you; yet do it with gentleness and respect” (1 Peter 3:15 ESV). So, biblically, we are not to simply stop at disagreement, nor are we to let ourselves lapse into fights. We are to argue and provide reasons. However, most Christians have never been instructed on argumentation; they simply don't know how to argue effectively. We will cover that in an upcoming post. But it is important for anyone who seeks to share the gospel, that is anyone who is seeking to change a belief, to learn to argue appropriately and effectively. 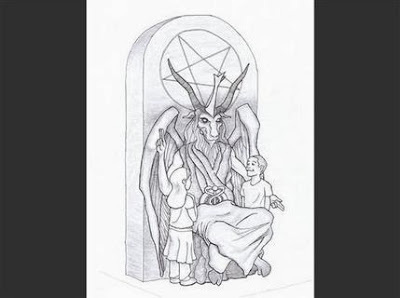 Should Oklahoma Allow a Satanic Statue on Public Lands? 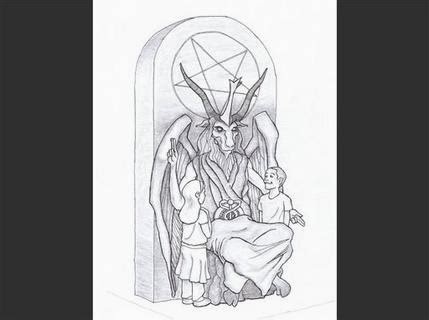 On Monday, the Associated Press reported that a New York-based Satanic Temple has applied to have a seven foot tall statue of Satan erected on the Oklahoma state Capitol so that "people of all ages may sit on the lap of Satan for inspiration and contemplation." According to the report, the group claims that the state of Oklahoma opened the doors to such a display when they allowed a privately-funded Ten Commandments monument to be erected at the Capitol in 2012. The next day, the Los Angeles County Board of Supervisors voted to restore a cross to the county seal. Meanwhile, the battle for the cross on Mount Soledad continues to rage. In a pluralistic society such as ours, should we expect to purge all public or government-owned lands of any religious symbolism? Or should we expect a religious free-for-all where petitions by Hindus, Satanists, and even atheists to place Flying Spaghetti Monster symbols in public locations will be commonplace? Are such things even reasonable to consider? It is obvious that the requests by the Satanists and the Church of the Flying Spaghetti Monster are really nothing more than publicity stunts. No one actually believes that such a thing as the FSM exists. The concept was used as a rhetorical device by a college student in a letter he wrote to the Kansas Board of Education, and that is definitely not a sound basis for a belief system. Their church and all that follows from it is just a joke. As for the Satanic Temple, even spokesman Lucien Greaves admitted the petition "is in part to highlight what it says is hypocrisy of state leaders in Oklahoma," according to the report. Greaves claims the Temple is serious about having a monument placed there, which is no surprise since if you can get your protest installed as a permanent structure, it lasts much longer. What is clear, though, is that none of these requests are taking into account the function of what public monuments are supposed to perform. Communities place monuments in public spaces to provide a link to relevant actions or ideas that helped shape that community. As Wikipedia puts it, "A monument is a type of structure that was explicitly created to commemorate a person or important event, or which has become important to a social group as a part of their remembrance of historic times or cultural heritage." While the Ten Commandments can be explicitly shown to have shaped both the values of the citizenry in the state of Oklahoma and also modern American jurisprudence, the church of Satan, the Church of the Flying Spaghetti Monster, nor even earnest practicing Hindus can make such a claim. The state of Oklahoma is well within it prevue to reject these proposals even while allowing the Ten Commandment monument on just such reasoning. Similarly, Los Angeles County Supervisors Antonovich and Knabe argued that the cross is appropriate on the LA County seal because the seal depicts a mission, which has historically boasted a cross on its steeple. California history is simply incomplete if one were to ignore Father Junipero Serra and the California missions. Whether the supervisors were themselves sincere in their desire, I don't know. However, I do know that the mission with its cross does accurately reflect the history and the cultural forces that shaped the county. Spanish Jesuits are why Los Angeles is so named. It strikes me as I see more and more attempts to purge our cultural markers of Christian symbols that such motives are endangering our collective memory as a society. Monuments are important because they serve as remembrances of important influences. Public lands are not like AYSO leagues; not everyone should get a medal for simply being there. There are good reasons why certain Christian symbols belong on a county seal or a capitol lawn. I see no benefit from New York Satanists, nor how their ideas have contributed to the welfare of Oklahomans. The New Year has descended upon us and many people have resolved to improve themselves in different ways. People are starting exercise regimens, cleaning out their desks, and hiding their credit cards (because cutting them up would be, well, a little too permanent!) Nicotine patches and diet books are flying off the shelves. I applaud the desire of people who want to better themselves. 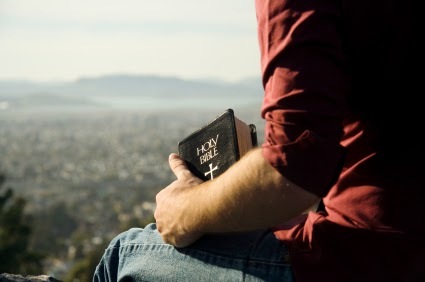 I know of many Christians who also desire to become more intimate with the scriptures and so they set themselves to read through the entire Bible. Some of them adopt various read-through-the Bible-in-a-year plans. There are several different ways the Bible is laid out by one-year plans. The oldest is to provide a section of the Old Testament, a section of the New Testament, a portion of Psalms and a portion of Proverbs. But this is a terrible way to read the Bible! The books of the Bible are written as just that, books that have a central purpose carried throughout. For example, January 7ths New Testament reading presents Matthew 6, but stops ten verses short. Those ten verses are the completion of the thought of Matthew 6. Jesus says in Matt. 6:25, "That is why I tell you not to worry about everyday life" easily showing that verse 25 and following are connected to verse 24. By dividing the text up this way it become harder, not easier, to see what the author's intent and overall message really is. Other plans, such as beginning-to-end plans or chronological versions are better, as you are at least not reading only a portion of a psalm. But because most of these plans are designed to fit within a specific time period, such as 15 minutes a day, they will still be forced to break the narrative. The books in the Bible were written to be taken as a whole. The New Testament epistles were initially letters to specific audiences. Would you ever read bits of a letter every day for a week and then writing a reply to your correspondent? You would want to read the entire letter so you would have the proper context to form a proper understanding. One of the classic ways the Mormons or Jehovah's Witnesses twist scripture is to take certain verses that by themselves seem to support their teaching and use them as proof, ignoring the larger context of the entire text. For example, the Jehovah's Witnesses will use Romans 10:9 to show that Jesus is not God. However, in the verses immediately following, Paul tells us that Jesus is "Lord of all" people, Jewish and Gentile, and he quotes Joel 2:32 to say "Everyone who calls on the name of the Lord will be saved" (Romans 10:13). Interestingly, that Joel passage uses the divine name of God, YHWH, where Paul writes Lord. This clearly equates Jesus as YHWH. While Christians will rightly decry the JW twisting of scriptures such as these, the church has become complicit in such abuses by elevating Bible verses over Bible books. We take simple, quotable lines out of their context and use them in ways the writer never intended. Unfortunately, by presenting the biblical texts as bits, the idea of the verse above the book is elevated. For example, we read about the feeding of the 5,000 in Matthew and we think it is only about what little thing can we bring to Jesus that He could multiply. However, if we were to read the full context of Matthew, we can see how he portrays Jesus as fulfilling Israel's mission: Jesus was "called out of Egypt" (Mat. 2:14), He wandered in the wilderness (Mat. 4:1-10), He delivers the law of God on the mountain (Mat. 5-7), and He relies on God to provide for Him and His flock as the feeding of the 5,000 demonstrates. This picture is hard to see with daily readings but reading Matthew as a whole will show it more easily. A last concern I have over one-year plans is I think it subtly shifts the goal of bible reading itself. As I mentioned at the top of this article, I believe that many people begin such a regimen in order to become more intimate with all of scripture. However, I know when I had previously attempted such a plan things began to get difficult after mid-February. Until then, the Old Testament stories are fairly familiar. One can suffer through a genealogy or two, but Abraham offering Isaac or the plagues of Egypt bring us right back to Cecil B. DeMille familiarity. When the reader hits Leviticus, though, it becomes tough sledding! All of a sudden my intent shifts from understanding the context of the passage to simply getting through it. My goals changed. I was only looking for checking off the box that I did my reading today, not necessarily on what part the passage plays in telling God's story, it essentially defeated the purpose for which I started reading-to become more intimate with the scriptures! Please note that I'm not saying there is no benefit to one-year plans. Neither am I saying that everyone who engages in the Bible this way will fall into these traps. I'm only expressing my concern that structuring one's reading in this way makes doing so easier and may hinder the primary goal of true knowledge of the Bible. Instead, I want to pass along a recommendation that was given by Dr. Walt Russell in his book Playing With Fire: How the Bible Ignites Change in Your Soul. Dr. Russell is a bible scholar and he recommends creating a reading plan where you focus on one book each month. Start off with a gospel account, or even a short epistle such as Galatians. Once you've chosen your book, you should read it every day. At first, don't stop for the parts you don't have a full grasp of; simply read it as a complete work. After the second week or so, you will begin to notice refrains in the text—ideas that are repeated or reinforced. You can begin to see the work as a single message and then you can go deeper with a commentary or bible helps. The goal is to master one book per month. On the next month, select another. One you get used to this approach you will find that it really doesn't take an incredible amount of time to read through a book (Galatians can be read in 20 minutes or so.) But you will be going deeper and truly understanding the scripture as God intended. I'm indebted to Dr. Russell and his teaching in enlightening me with this approach. I think it will provide a very different experience for you. Read Playing with Fire and see how you can ignite change in your soul! In my debate against Richard Carrier, I argued that the beginning of the universe pointed toward the existence of God. I had said, "The most fundamental law of science is 'Out of nothing, nothing comes.' We simply do not see things popping into existence for no reason. Every parent understands this axiom when they find crayon marks on the wall or mud scraped across the floor. A child's response of 'no one did it, it just appeared' would be rightly rejected as silly." Oh yes, "out of nothing, nothing comes" is another one. If there is absolutely nothing, then there are no rules governing what will happen. So the idea that "only nothing can come from nothing" is a rule. That's something; that's not nothing. If you really have absolutely nothing then anything can happen. Nothing governs what's going to happen. If we start with nothing, we have no idea what could occur. 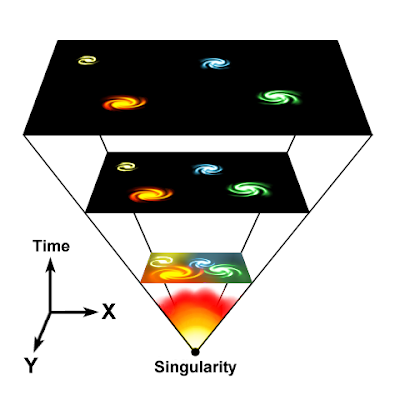 As physicists will tell you, like Victor J. Stenger in The Fallacy of Fine Tuning, nothing is inherently unstable. So if we did start the universe with nothing, we could actually expect something to come out of it because the probability of nothing remaining nothing is rather low and because there is nothing governing what will happen. There are a lot of problems here. First, let's look at what we mean when we use the word "nothing." When I say the universe began to exist, I mean that all matter, energy, space, and time came into being where they had previously not existed at all. In fact, when philosophers talk about the concept of nothing, it is generally understood to mean a state that is devoid of all properties. If there is nothing, then there are no physical things that can act and there are no laws of nature by which the non-existent entities would be able to act. But Carrier seems confused on this. He first states, "The idea that 'only nothing can come from nothing' is a rule. That's something; that's not nothing." Well, that's not really accurate. The idea isn't a rule, but a description. It is another way of saying there are no laws and nothing upon which actions could even take place. But then, he goes on to say, "If there is absolutely nothing, then there are no rules governing what will happen… If you have absolutely nothing, then anything can happen!" Well, using Richard's own criteria, that would be a rule. That means you haven't started with nothing! The idea that nothing is inherently unstable is a real science-stopper. Imagine people saying, "Well, I we had nothing and now we have this new chemical because anything can happen!" or "We don't know how that came into existence. It must've simply popped into existence because nothing can produce anything!" This is not a reasonable answer. It sounds more like magic than anything else. So, I find this response problematic on several levels. First, Carrier argues that nothing is a great way to get something. I think that is a terrible answer and he needs to explain why we should accept it for the beginning of the universe then turn around and reject it for any other scientific question. Secondly, if "out of nothing, nothing comes" is considered something, then 'If you have absolutely nothing, then anything can happen" should also be considered something. As such, Carrier hasn't started with nothing and he needs to explain how his "rule" came into existence. As Christians, what should our attitude be toward economics? Should our religion inform our economic model or are those two areas distinct? I believe that our Christianity should inform our entire understanding of how we live. Obviously, economic systems like capitalism, socialism, and communism have a moral component because they affect the common man. If unbridled capitalism causes the many to remain poor at the expense of a few who become super wealthy, then it may be that such a system is wrong. If, however, communism offers more suffering by knocking down any one who seeks to better him or herself, then that model is antithetical to the Christian worldview. The reason I bring this up is not because of some partisan squabble within the United States. I try to keep this blog focused on issues of worldview, not partisan politics. This topic is larger than any one country, and Mark J. Perry, professor of economics at the University of Michigan, Flint has released some astounding findings. 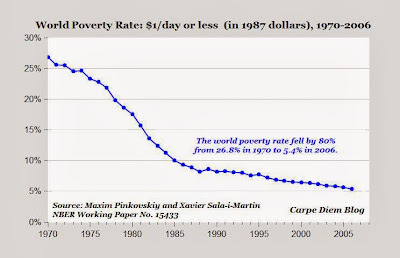 In the last 36 years, the overall level of world poverty has declined by 80%. That means that while 1 out of four people subsisted on $1 a day or less in 1970 (using 1987 dollars), now only one out of 20 people fall below that poverty line. 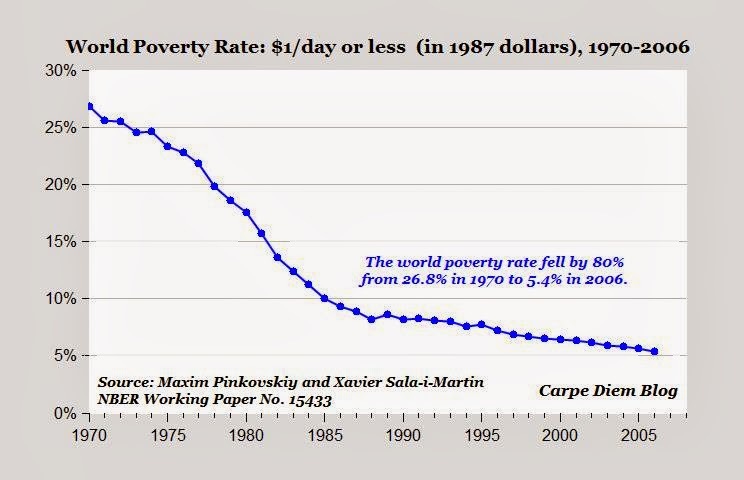 In a world of seven billion people, that translates to about 1.4 billion people who are better off than they would have been had the decrease not happened. At the same page, Arthur Brooks of the American Enterprise Institute emphasized, "It's the greatest achievement in human history, and you never hear about it. 80 percent of the world's worst poverty has been eradicated in less than 40 years. That has never, ever happened before. In short, it was the free enterprise system, American style, which is our gift to the world." The question now becomes what was the primary component that allowed so many more people to escape conditions pf poverty? Brooks states, "It was globalization, free trade, the boom in international entrepreneurship." As the Mackinac Center for Public Policy reports, "Much of this is the result of formerly Communist and Socialist economies becoming more market based. China, India and most of South America have been embracing capitalism for decades, while Africa also is moving toward freer markets in more recent years, according to the ‘Economic Freedom of the World' reports." Throughout the vast scope of human history, most societies have lived at the subsistence level, with some 90 percent of the people's labor being required just to produce food for the community. This gave rise to an organic view of society, focusing on the survival of the whole rather than the liberty of the individual. With little defense against bad weather and poor harvests, "the survival of the whole was clearly linked to the diligence of each member," says one historian. And "with so many lives always at risk, concern for the public good predominated." The precariousness of life justified authoritarian control of economic relations. C. S. Lewis had a great quote when talking about the followers of Christ. He said, "God is no fonder of intellectual slackers than of any other slackers. If you are thinking of being a Christian, I warn you: you are embarking on something that is going to take the whole of you, brains and all." I completely agree. Christians today have accepted the secular world's idea that somehow faith and reason inhabit separate spheres. The two are sitting on opposite ends of a spectrum and the more one applies tools such as logic and philosophy to his or her beliefs, the less and less they will be considered faithful or pleasing to God. A bumper sticker that used to be fairly popular summed up this kind of attitude: "God said it, I believe it, that settles it." But nowhere in scripture are we commanded to approach our beliefs blindly. In fact, we are commanded to do just the opposite. When Jesus was asked what the most important commandment was he replied, "You shall love the Lord your God with all your heart and with all your soul and with all your mind and with all your strength" (Mark 12:30). Tellingly, although Jesus was quoting Deuteronomy 6:5, He added the phrase "and with all your mind." Jesus said that loving God must include developing the life of the mind. This makes a lot of sense, given how Jesus identified Himself. In John 14:6 He said, "I am the Way the truth and the Life." Well, if we think about Jesus as truth, then we should be applying reason and logic to our beliefs. Logic is simply a tool that we use to find truth. Part of our difficulty in seeing logic and critical thinking as ways we can better love God may be because we think that such tasks are only human enterprises, while Jesus is divine. Logic means works, while He is grace. But if Jesus is truth and we can use logic to discern truth, then we can use logic to see the reality of Jesus. You may be surprised to find that out that the implementation of logic is actually found throughout the Bible and especially in the New Testament. Jesus used logic and argumentation many times. For example, just before He gave the command to love God with your mind, the Sadducees tried to test Him with a question about a woman who was married and widowed seven times. They used a technique in logic known as reductio ad absurdum to show that their views on the afterlife were correct. 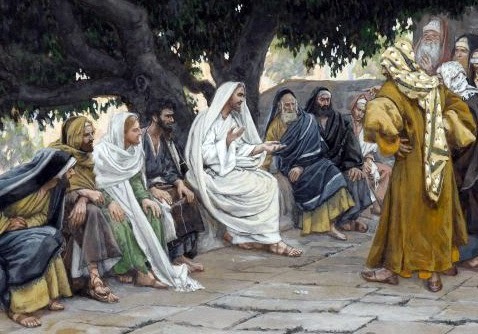 However, Jesus capably destroyed their argument and chided them, saying "Is this not the reason you are wrong, because you know neither the Scriptures nor the power of God?" He then give the command that we must love God with all our minds. The Sadducees were unprepared. They hadn't done their homework and as a result had a mistaken view of God. As faithful followers of Christ, let us not shy away from some of the harder work of learning and developing our minds so we can more completely love our God with all that we are. What is the thing that makes me me? I found an interesting comic on the Internet the other day that does a great job in unpacking one of the problems of the materialist position that all we are is the sum total of our physical makeup. You can read the whole thing here, (it's rather long) but I will summarize. The machines did more than transport people. They also killed them. Since the machines didn't use exactly the same atoms in exactly the same position, what arrived on the other side wasn't the original but only a copy. However, because the copy had the memory of the original's past, it believed it was the same person. The man is disgusted at the wholesale death that people were accepting for the sake of convenience, which he deems immoral. He eventually meets the inventor of the machine and confronts him on such wanton disregard for human life. The inventor counters by answering, "My boy, surely you don't think that 'you' are the individual atoms of your body, do you? One carbon atom is the same as the next! And your body itself flushes out and replaces atoms all the time, yet you say nothing of copies. 'You' are not the atoms in your body but the pattern of the atoms." The man realizes now that every day he awakes his atoms are different. He dies every night as he loses consciousness and a copy wakes in the morning with the memories of the past. 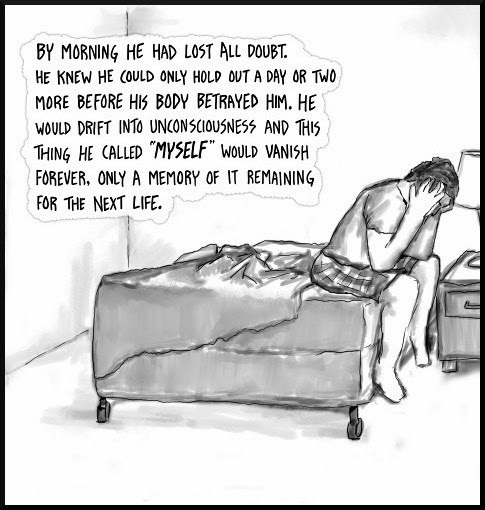 The man goes into an existential crisis. The question of identity that the strip portrays is one that has a long history in philosophy, going back to ancient Greece. Known as Theseus' Paradox, it is usually represented as a ship piloted by Theseus whose weather-worn components are replaced one at a time until eventually there are no original parts. Is this still Theseus' ship? What if one were to take all those original pieces and reassemble them right next to the repaired ship? Which would properly be Theseus' ship now? What is the Essential Element? Both the transporter machine and Theseus' paradox ask the question of what makes up the essential element of a thing. If we are only a pattern of atoms arranged in a certain way, then can two specific identical patterns of atoms both claim to be the same person? The comic assumes that our material nature is really all there is to us. Our consciousness and our memories are what inevitably come from a specific arrangement of those atoms. That means the mental reduces to the material, and you can recreate a consciousness by duplicating the specific material components. As the comic shows, if this is true then life can be seen to be meaningless. What one does doesn't matter since a real you doesn't continue through life, but a bunch of copies. When viewed through a materialist lens, there is really no meaning to life at all. However, Christianity offers an answer to this dilemma. The Christian view of humanity teaches that we are not merely the assembly of atoms. Human beings have not only a body but a soul, an immaterial aspect of ourselves that stays the same throughout our existence. The soul is not replaced bit by bit. It is fundamentally the same thing. The soul is our essential self. While humans are made to be both body and soul, it is in our souls where our conscious selves reside. Even when we sleep, our souls continue and we don't cease to be. The idea that each of us possesses a soul has incredible implications. It not only provides continuity in this life (I am the same person tomorrow when I awake and I am today), but it gives us an understanding that people who are born without things like arms and legs are still fully valuable as human beings because they do not have less of a soul. It helps us understand why unborn human beings are valuable individuals. It also helps us to understand that what we do in this life matters because even if our material elements are destroyed in death, our souls will continue on. J. P. Moreland has quoted J. Gresham Machen who said, "I think we ought to hold not only that man has a soul, but that it is important that he should know that he has a soul." We can clearly see why it is so important. If we are to take the materialist position, we are entirely consistent to believe there is no meaning to anything at all and there's really nothing to live for. But because we are body and soul, God has given us real meaning for this life as well as for the next.